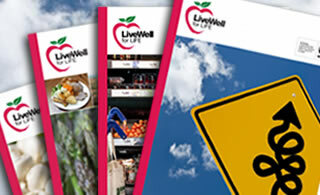 LiveWell for LIFE focused on how to adopt a healthy, sustainable diet in Europe by introducing the LiveWell diet: a healthy, low-carbon diet that takes account of cultural preferences. When followed, the LiveWell diet can bring significant health benefits to EU citizens and reduce the impact food production and consumption has on the environment. 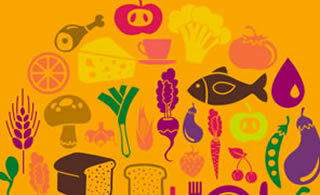 We believe the LiveWell diet is a good first step towards a more sustainable diet. Its focus is on mitigating greenhouse gas emissions, but it incorporates health, socio-cultural, economic and qualitative elements as well. 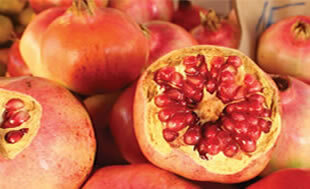 Food is at the heart of many key environmental issues. Growing, producing and importing food contributes substantially to climate change. The world’s population has doubled since 1960 and it’s predicted to increase to over nine billion by 2050. So, the pressure that feeding the world is putting on the climate and ecosystems has never been so high. The LiveWell for LIFE project tackles head-on two of the big challenges facing modern society – rising levels of chronic diseases and runaway climate change – and looks for solutions that will tackle both simultaneously. The idea is to show there is no contradiction between eating healthily and reducing our global footprint on the planet. Even better, we intend to show that healthy food, healthy people and healthy planet is the common sense way forward at a time when everyone’s budgets are getting squeezed. LiveWell for LIFE was a continuation of the research the Rowett Institute did with WWF-UK in 2010-11. The research looked at the compatibility of dietary recommendations for health with environmental sustainability criteria. The original LiveWell Plate builds on the concept of the ‘Eatwell Plate’ – a visual communications tool created by the UK Food Standards Agency to promote nutritionally healthy diets.